Known as the ‘strange stone circles’ by locals in Turpan, the formations vary in size and shape with one intricate example resembling the sun. 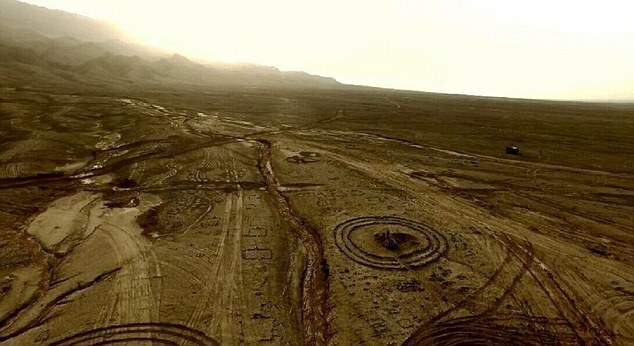 The circles are located in the Flaming Mountain in Turpan, north west China and cover more than two-and-a-half square miles (6.6 square km). Was #Stonehenge a ‘Mecca on stilts’? 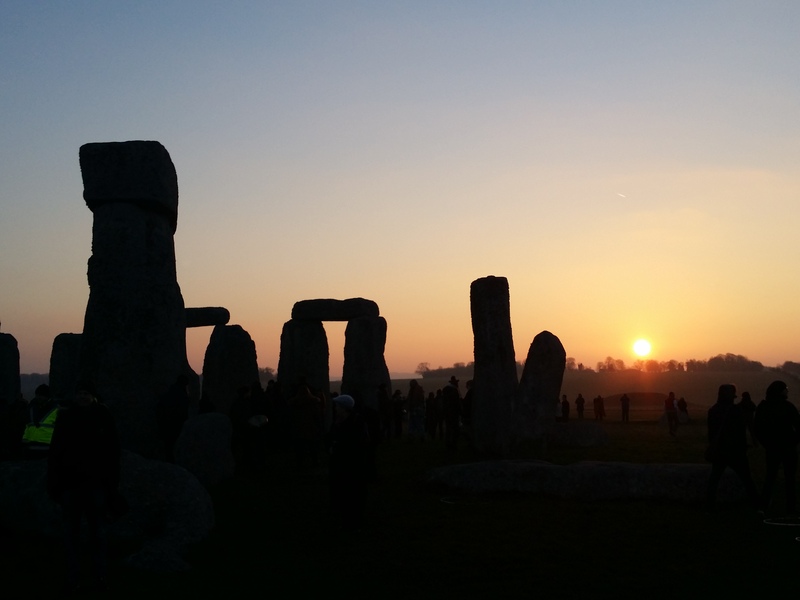 Whether it was a Druid temple, an astronomical calendar or a centre for healing, the mystery of Stonehenge has sparked endless debate over the centuries. 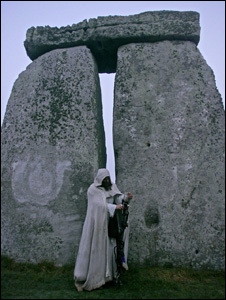 Now a dramatic new theory suggests that the prehistoric stone circle monument was in fact ‘an ancient Mecca on stilts’. 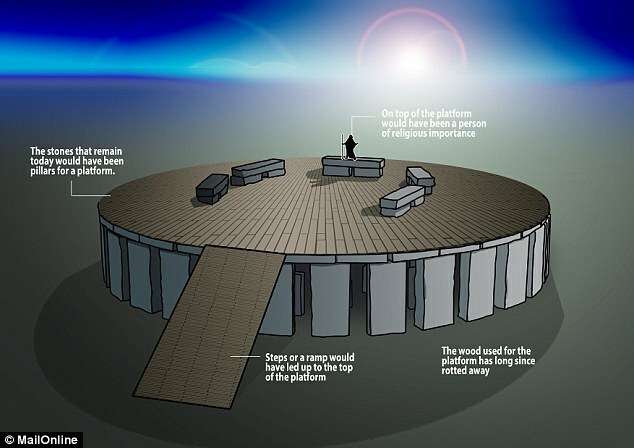 The megaliths would not have been used for ceremonies at ground level, but would instead have supported a circular wooden platform on which ceremonies were performed to the rotating heavens, according to new research. 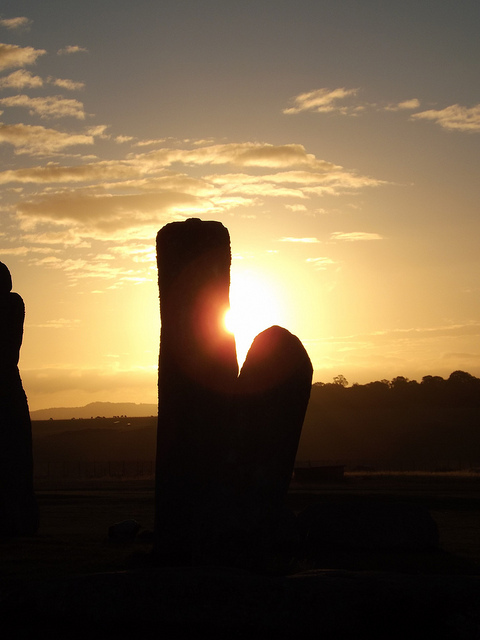 Julian Spalding, former director of some of the UK’s leading museums, argues that the stones were foundations for a vast platform, long since lost – ‘a great altar’ raised up high towards the heavens and able to take the weight of hundreds of worshippers. ‘It’s a totally different theory which has never been put forward before,’ he said. Part of his evidence lies in ancient civilisations worldwide. As far afield as China, Peru and Turkey, such sacred monuments were built high up, whether on manmade or natural sites, and with circular patterns possibly linked to celestial movements. ‘In early times, no spiritual ceremonies would have been performed on the ground,’ said Mr Spalding. The Pharaoh of Egypt and the Emperor of China were always carried – as the Pope used to be… The feet of holy people were not allowed to touch the ground. We’ve been looking at Stonehenge from a modern, earth-bound perspective. However, he says the wood that would have been used for the platform has long since rotted away, leaving only the stone pillars that support it behind. Mr Spalding’s museum directorships include Glasgow, which boasts world-class archaeological collections within a complex of institutions that exceed the British Museum in size. Today, he published his theories in a new book, titled Realisation: From Seeing to Understanding – The Origins of Art, published by Wilmington Square Books. It explores our ancestors’ understanding of the world, offering new explanations of iconic works of art and monuments. Stonehenge, built in stages between 3000 and 2000 BC, is England’s most famous prehistoric monument, a Unesco World Heritage site on Salisbury Plain in Wiltshire that draws more than one million annual visitors. It began as a timber circle, later made permanent with massive blocks of stone, many somehow dragged from dolerite rock in the Welsh mountains. Dolerite has a bluish tinge and is dappled with white spots that look like stars, according to Mr Spalding. ‘These megaliths, weighing between two and four tons each, were transported 250 miles [400km], an extraordinary achievement in those times, which indicates that building Stonehenge was a massive communal enterprise,’ he said. He believes that ancient worshippers would have reached the giant altar by climbing curved wooden ramps or staircases, moving in the direction of the slowly circulating stars for ceremonies dedicated to, for example, a dead king’s soul or midsummer and solstice celebrations. His theories have been shaped by visits to ancient sites like the stone circles of Göbekli Tepe in southern Turkey, reminiscent of Stonehenge but predating it by around 6,000 years. He also points to the Nazca Lines in Peru, vast drawings apparently etched into Earth’s surface more than 2,000 years ago on to a high natural plateau above the villages where they lived: ‘They went up to the sacred place. These lines were a processional way, which followed the movement and shape of the stars. Mr Spalding is fully expecting resistance from fellow academics. He draws parallels with the 1868 discovery of magnificent prehistoric ceiling paintings in the Altamira Cave in Spain, by a geologist and archaeologist. ‘He went in there and looked on the ground – because he assumed all the evidence for early man would be on the ground,’ he said. Experts at the time denounced those paintings as forgeries. 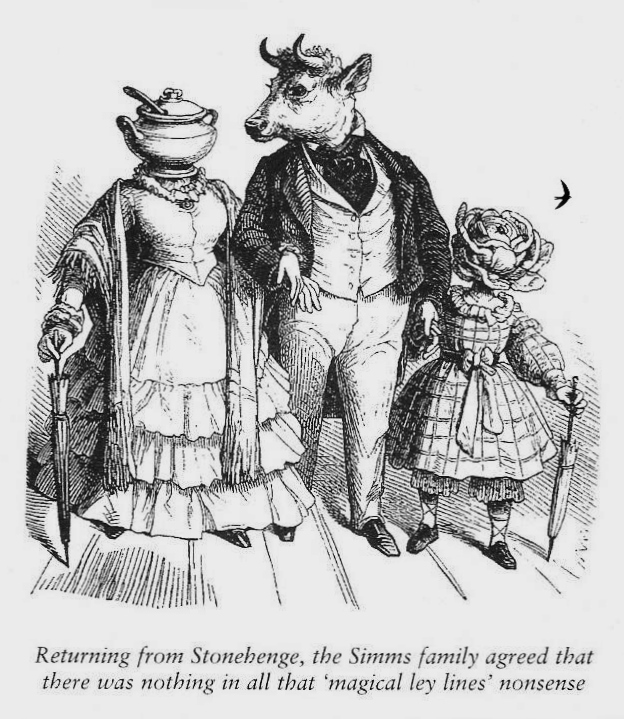 It was not until the end of the 19th century that they were accepted as genuine.